How does it feel to be returning to the team for a fifth season? I’m delighted to be back with the team for another season, we finished last season in New York on such a high – as our best ever season to date – and I’m excited to see what our new powertrain and car can help us to achieve. Last season you were battling for the Championship title until the final double-header in New York City – do you believe the team will be in a position to be doing the same in season five? I think we’ve got an incredibly strong package from Audi Sport, and from the testing that we’ve completed so far, I think we’ll be in a good position to go racing from the start of the season in Riyadh. As a team, we’ve prepared well over the summer and we’ll be working hard at pre-season testing in Valencia. Envision Group joined the team as majority owners in April this year, what does Envision Group coming fully on-board with the team mean for you? Envision Group are a leading clean energy and IoT company. 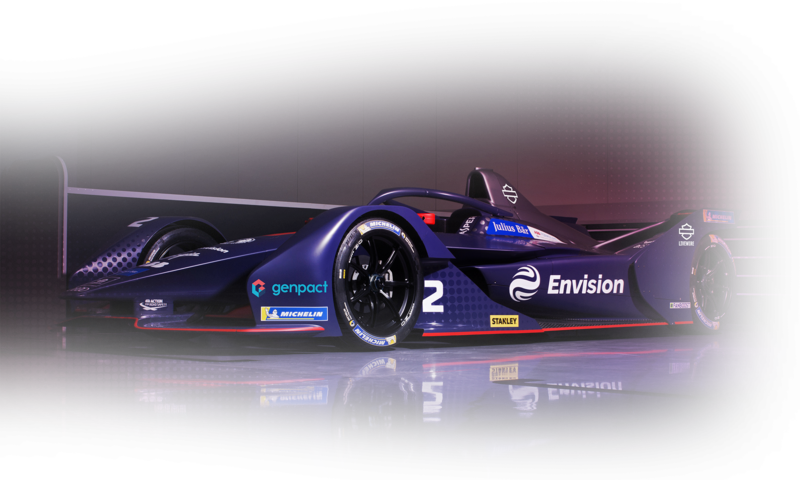 It’s a cool company, and that ethos is directly relevant for Formula E. The Championship prides itself on its race to road messaging – we’re providing products and services surrounding those, whether it’s the supply of energy or the battery technology, available to the global mass market. How have you been preparing during in the off-season? We’ve completed private testing with the team during the summer and we’re excited to see what we can do when we get to pre-season testing in Valencia – we’re in a good place and feel we’ll start the season off strongly. Away from the track, I got married! So I finished my best ever season to date in New York and then have had a very exciting summer to follow. Your new team-mate has been announced as Robin Frijns for the upcoming season, how do you feel about this? I’ve known Robin for a long time and recently have raced against him during season three and four in Formula E. He’s a hugely successful driver and has proved this throughout his career, it’s great to have him joining me at Envision Virgin Racing and I can’t wait for the season ahead.